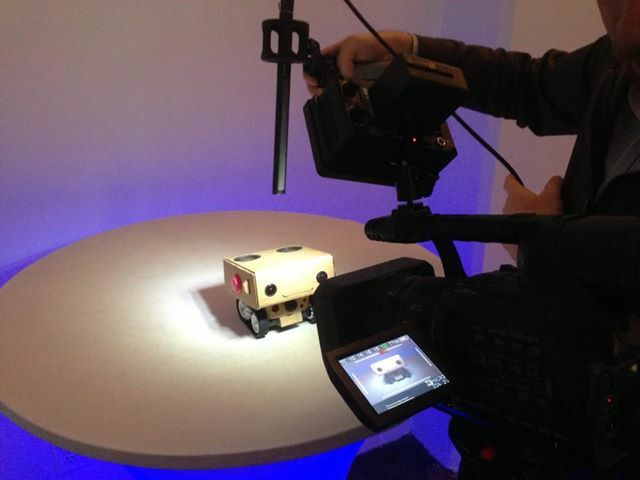 Alex Reben’s dissertation robot, Boxie “the needy robot” morphed into Blabdroid, the documentary film about making robots. 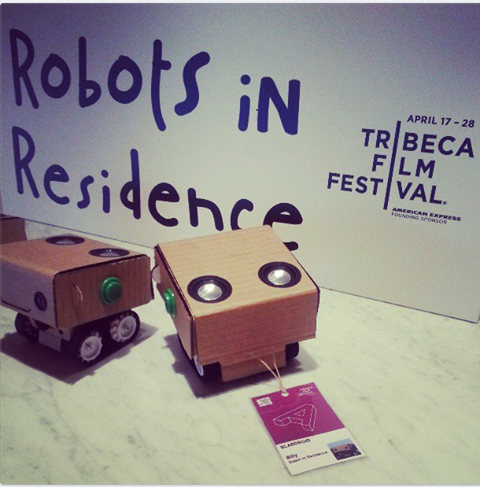 Blabdroid were the official “robots in residence” at the Tribeca Film Festival in New York in April, and are now touring the world’s film festivals before taking up a somewhat different role in Bolt, a Boston based hardware accelerator. Bolt has just announced their first hardware startup intake and I’ve been looking forward to seeing how many other robots have made the cut. Ben Einstein and his team had to sift through hundreds of applications for Bolt’s first group of startups. Each startup will receive enough funding to complete the 6 month program including access to a full machine shop and manufacturing mentors. Bolt also host the Boston Hardware Startup Meetup every 6 weeks. Bolt is building a great ecosystem for robot startups and we’re hoping that Blabdroid, or the next iteration of Alex’s robotics, will be the star of the Bolt stable.